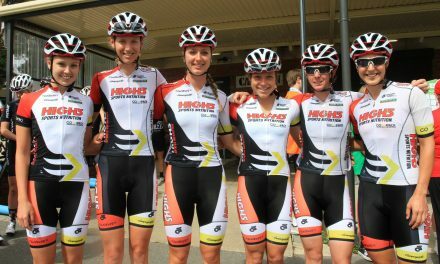 The High5 Dream Team had a successful campaign at the Women’s Tour of New Zealand. The team competing consisted of Tessa Fabry, Jessica Mundy, Ellen Skerrit and myself. We also had the privilege of Kim Palmer (DS) and Ray Hunter (Mechanic) looking after us for the week. The Tour consisted of 5 stages, 4 road races and 1 Teams Time -Trial. One of my roles in the team was to strongly contribute and lead the team in the TTT. I tried my hardest but unfortunately I had been unwell the night before and day of the race. I was unable to contribute as much as I would have liked to the team. Luckily the girls were so strong and in great form we were able to finish 6th, 1min 30seconds down on the USA National Team. Good recovery was vital for everyone going into the following stages as it was going to be tough! The stages ranged from 100km-130km each day and the terrain made the tour even more challenging, with many hill climbs and dead roads. Tessa and Ellen were our main climbers for the tour, so it was up to Jess and I to look after them and be present in early breakaways. Unfortunately in the second stage I was involved in a crash which happened 80km’s into the race. Luckily only skin was lost and Ray was able to fix my bike and after some chasing I eventually joined the peloton again. I finished 3rd in the bunch sprint and teammate Jess finished 6th. For the 3rd stage we completed 10 laps of a circuit which had a 1km QOM climb. This was definitely a race of attrition, it was important for us to eat and remain hydrated and to look after ourselves as much as possible. Tessa made the job easy for us as she got in a breakaway of 9 with 3 laps to go. This was the winning break and it stayed away until the finish. Tessa had tried a few times to go solo but all attempts were brought back and she finished 7th. This also put Tessa in 8th position on GC! Ellen, Jess and I finished in the following bunch. The 4th stage was the Queen Stage! This would be the stage that would more or less decide the tour. It involved 2 main climbs, one 6km climb and one 10km climb to the finish. The race started quite easy, but the pace was soon turned on by the U.S.A National Team as we took a left hand turn into some solid cross winds. A break of 8 was formed (thanks to Jess) which myself and Ellen were in. 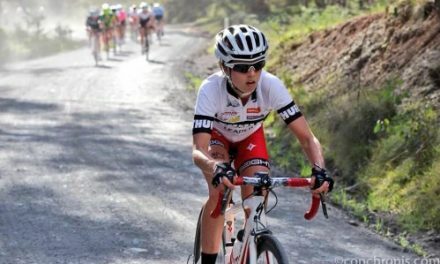 I saw this break as a great opportunity for myself to try and get over the climbs and to help Ellen for a stage win or take the Young Riders jersey. Ellen had to make sure she took it easy in the break and to not work too hard. She needed to conserve as much energy as possible so she had enough for the climbs that were ahead. It was then up to me to work hard to ensure we maintained a large time gap to the peloton. While Ellen and I were up the road Tess and Jess were doing a great job covering attacks and ensuring the break stayed away. Unfortunately I lost contact with the break up the 6km climb and it was up to Ellen to look after herself until the final climb. 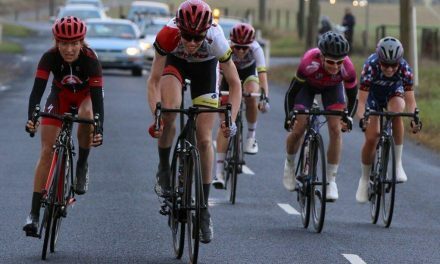 Jess, Tessa and myself were in the main peloton and made sure we covered the attacks and shut them down as we had great confidence that Ellen would perform well on the final climb!… and that she did! Ellen finished 4th, which put her into the Young Riders Jersey. It was a great day for the team! The final stage was going to be really important for us, as our main goal was to hold onto the Young Riders Jersey. We were hoping for quite a cruisey race as the kilometres started to take its toll on our legs, but that was definitely not the case at all! As soon as the neutral flag was drawn in, attacks from Tibco and the Australian National Team were going left, right and centre. This continued for the first 30km and in my opinion was one of the hardest sections of the entire tour. After the climbs the bunch formed again and it wasn’t long before more attacks started, but nothing ever stayed away. In the last 500m leading into the finish there were 2 roundabouts, I knew I had to be within the top 3 wheels to have the best chance of winning. I was 3rd wheel going around the last corner and I finished 2nd in the sprint. Jess also finished inside top 10 in 6th position. 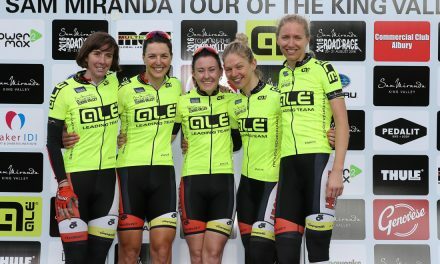 It was another successful day for the team as we made the podium and achieved our goal of holding onto the Young Riders Jersey. 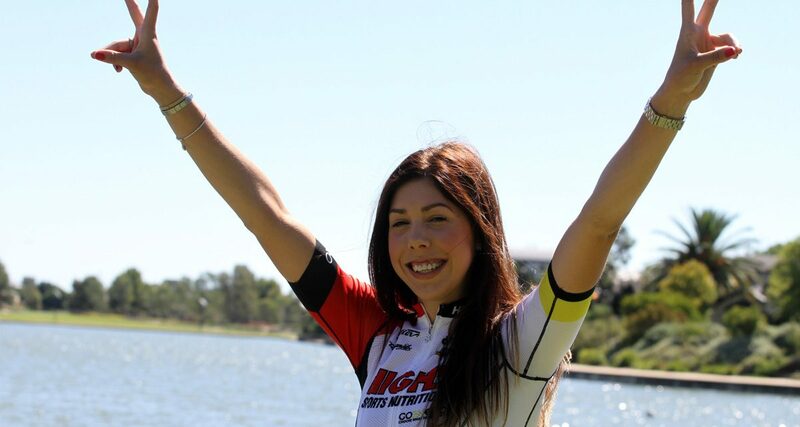 Next race for the High5 Dream Team will be the Adelaide Tour from the 9th-12th of April, stay tuned! NextKimberley Wells Wins Battle on the Border Stage 1!